At A Great Choice, we understand that our clients want to feel at home in their homes and that they want to come across as professional and dependable at work. We know that sometimes it’s the littlest things that make this possible, and first impressions count. We know that driving up to your home is something that should bring you peace and happiness at the end of a vacation or a long day at work. We know that when clients drive up to your office that they should feel as if they are approaching a well-maintained business that promises something great. We know that our Endicott, NY customers want to have it all, and that is what we are here for; to make sure that you do have it all. We know that having it all it something that our Endicott, NY customers want at home and at work, and we work hard to provide that. Let our professional landscapers help you turn your landscape ideas into reality and let us help you make the most of what you have in your own yard. We do it all; big or small. No matter what you need for your landscaping, we have it for you. We have the professionals on hand that can trim hedges, create and maintain a design that works for your lawn. Our goal is to make sure that all our Endicott, NY residents are thrilled with the look of their lawns and that they are all happy with what they have. The most important part of any great lawn, whether it is at work or at home, is the landscaping you show the world. It’s the first impression that people have when they approach your home or office, and it’s what people use to make their first impression. No matter how you slice it, it’s the lawn and landscaping that shows attention to detail that makes the biggest impact on any home or business. Your landscaping need not be elaborate or even expensive to make a big impact on your neighborhood, so long as it is cared for properly – which is what we do. Fertilization is a big deal. It’s not a difficult job, but it is a job that many home and business owners find that they do not have time to complete on their own. Our goal is to make sure that you have all that you need to ensure your lawn looks amazing through fertilization. It doesn’t matter how green your lawn is if it is thin and boring. We want your lawn to look and feel as thick and luscious as it was meant to feel, and our job is to make that happen for all our Endicott, NY residents. Let our professionals come professionally fertilize your lawn so that you can enjoy the feeling of thick, gorgeous grass beneath your feet as you play outside this summer with your kids. Every homeowner has great intentions. You find that you have a lawn that needs your attention, and you want to provide that. However, it’s not always easy during the summer to find the time it takes to mow a lawn in Endicott, NY. 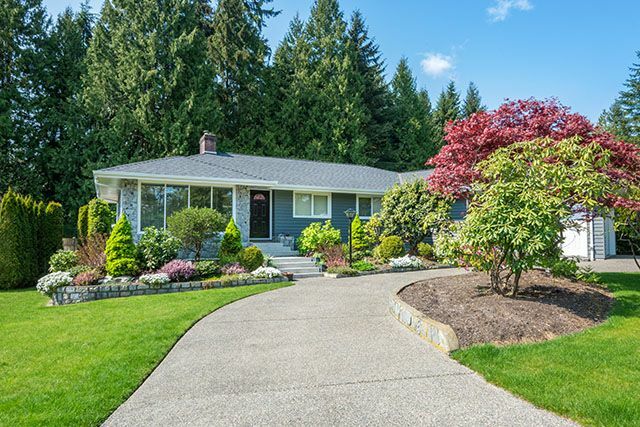 Sometimes you are just too busy with the kids or the family or the house or your job to make time to mow, and that leaves many homeowners with a yard that doesn’t always present well. Let our lawn service professionals come over and mow your lawn for you so that you can enjoy the fruits of our labors without the stress of finding your own time to devote to a job as tedious as mowing. 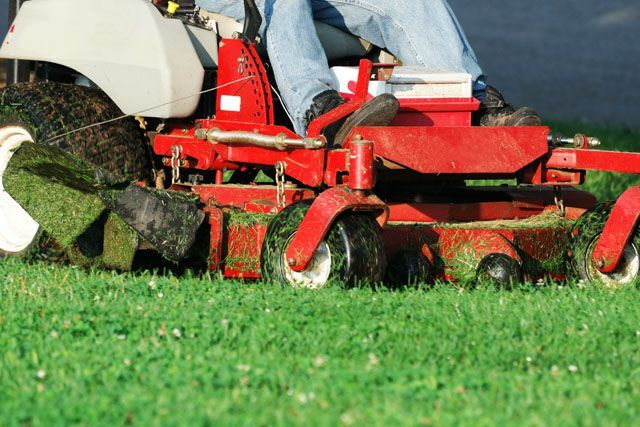 We show up at the times we schedule with you so that you always know when to expect a freshly cut lawn, and we can even come when you specifically request so that you have a freshly mowed lawn for events and other important moments in life. Many Endicott, NY residents are completely unaware of just how important it is to have a retaining wall in many landscape designs. It adds a functional nature, and it adds aesthetic appeal. We love the look because it makes your home stand out. It makes your home look just a little bit more exciting and a little bit more interesting than everyone else’s and that’s what makes it interesting. Let a retaining wall provide you with more landscaping design ideas and more interest in your lawn, and we promise that you will be thrilled with the outcome. You already know the benefits of having a patio and walkway. A walkway to the front door allows your guests to come into your home without walking through your landscaping, and a patio makes it possible to really enjoy the kind of outdoor living that we all want to enjoy when the weather is beautiful. Let our professional patio & walkway design professionals create something for you that makes your home seem more expensive and luxurious without costing you a fortune. We can add to your home something that will make you want to be outside as often as possible, and that’s our goal. Our professionals have been designing these outdoor living spaces for more than two decades, and we know that it’s important to have that in any outdoor entertaining space. Not everyone needs a water feature in their landscape design, but everyone wants one. We know that Endicott, NY residents are well aware that the sound of water is relaxing and soothing, and everyone should have that at home. Imagine sitting outside at the beginning of the day with a cup of coffee enjoying beautiful weather with a gorgeous professionally constructed water feature beside you making soft an lovely noises designed for you to feel relaxed and happy to begin your day. These features are simple, low-maintenance and they invite into your home some of the best things life has to offer, like birds that want to chirp and make you feel right at home. Our professionals are well-equipped at making this happen for you, and we have plenty of experience doing it. Call A Great Choice today to schedule an appointment with the professionals that have been making Endicott, NY homes more beautiful for more than 20 years. Our service professionals are happy to meet with you, talk to you about what you want done to the lawn of your home or business. We strive to make sure you end up with exactly what it is you want at your home or business, and that’s who we are as a company and as a landscape design family. Call us today to schedule an appointment.